Thread: Can I have a recomendation for a geocaching app? 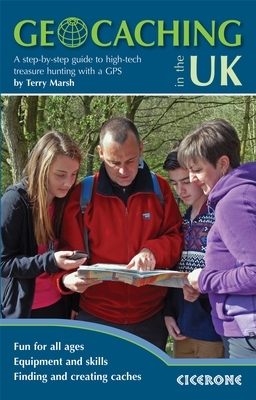 I'd like to try geocaching with my young kids but its something I have not done before and so gave little info on it. Can anyone recomend a geocaching app (for android) that I can use to find the locations. Just type in Geocaching. Should come up with a green symbol - sort of a hybrid between an 'map pointer arrow' and a G.
Thanks - I've downloaded that and will have a go with it. I use sometimes use "C:Geo" which works pretty well. I'll have a look at that as well - thanks. Yo may enjoy reading the above too then, bud! Cicerone do a great book, you can order from them direct, or obtain through your local library services too. Last edited by Trevor DC Gamble; 14-02-2017 at 04:11 PM. Thanks. I first time come to know about Geocaching. Glad to be of assistance to you there, Zohain. And a warm welcome to OM Forum to you too by the way.